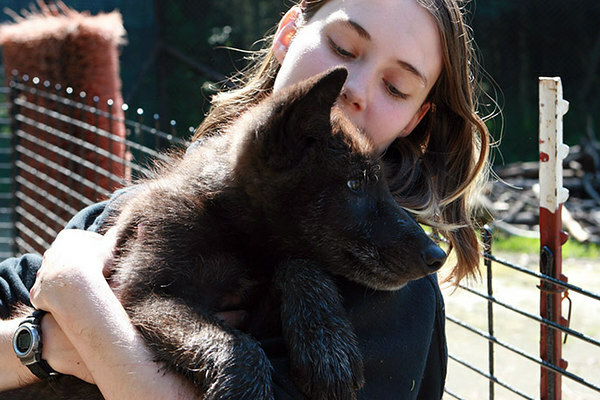 The wolf pups will be 7 weeks old on July 3. Today the keepers presented the pups with a wading pool. Not sure who ended up with most of the water on them.